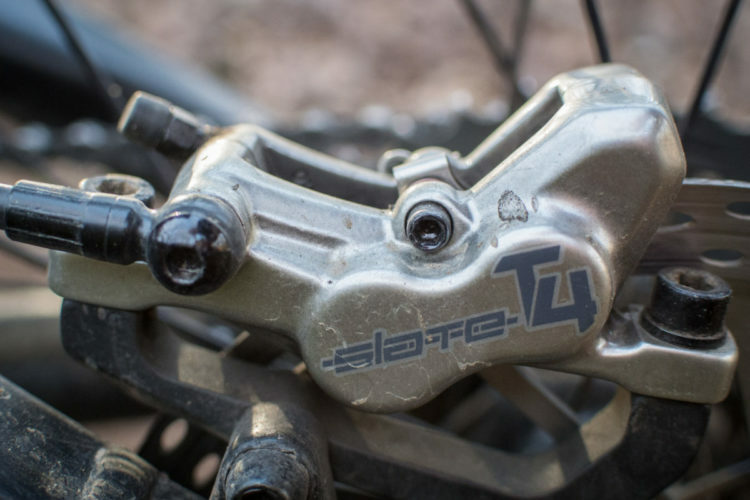 I reviewed TRP’s Slate T4 trail brakes early in 2017 and was thoroughly impressed with their blend of power and modulation. 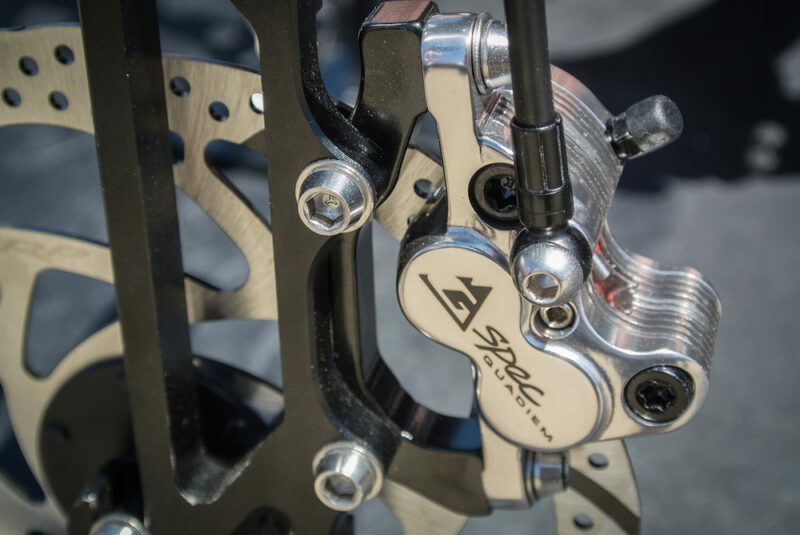 A couple months later, TRP showed off their new G-Spec Quadiem downhill brakes at the Sea Otter Classic. What’s G-Spec? 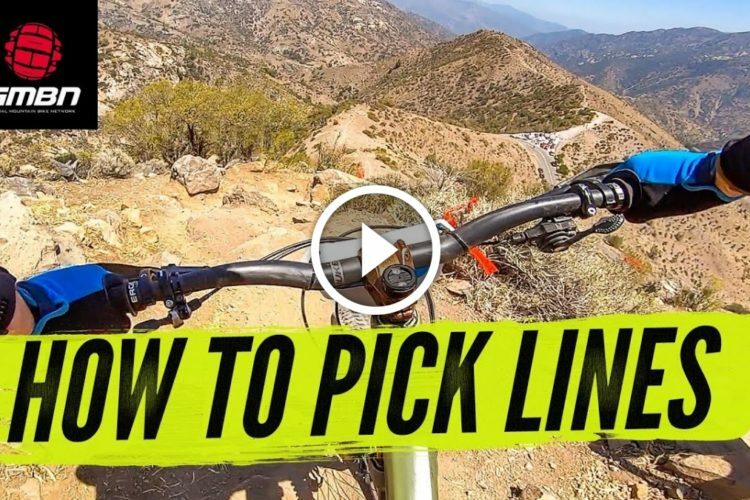 Well, the “G” refers to none other than Aaron Gwin, the most consistently-fast DH racer over the past few seasons. The G-Spec Quadiem brakes are built to Aaron’s specifications and are the same ones he uses on his World Cup-dominating YT Tues.
Their high-polished chrome finish and moto-inspired aesthetics make quite the visual statement, but looking good isn’t a brake’s primary function. As you might have guessed from their name and intended purpose, the Quadiem brakes use four pistons in each caliper. In this case, the pistons are a steel and ceramic hybrid to help dissipate heat. The calipers themselves are chunky blocks of aluminum with cooling fins CNC’d into their backsides. Clearly, temperature control was high on Gwin’s list of priorities. TRP ships the Quadiem brakes with their semi-metallic pads, but they also sell full-metallic pads aftermarket for $25/pair. However, just like with the Slate brakes, Shimano’s Saint/Zee pads will fit these should you have trouble sourcing TRP’s pads. Moving up, the master cylinder is huge — much larger than the master cylinder on a Shimano or even a SRAM brake. The polished lever has small dimples machined into the end to give your index finger a little extra traction. 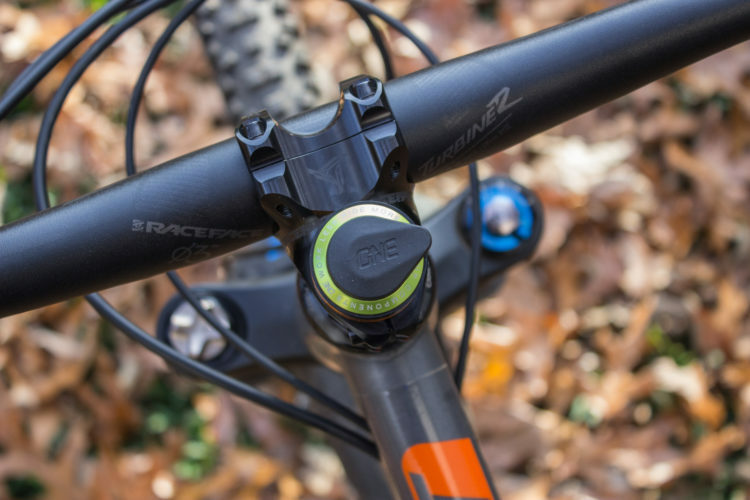 In terms of its shape and length, the Quadiem lever is closer to that of a SRAM brake than the stubby Shimano lever. 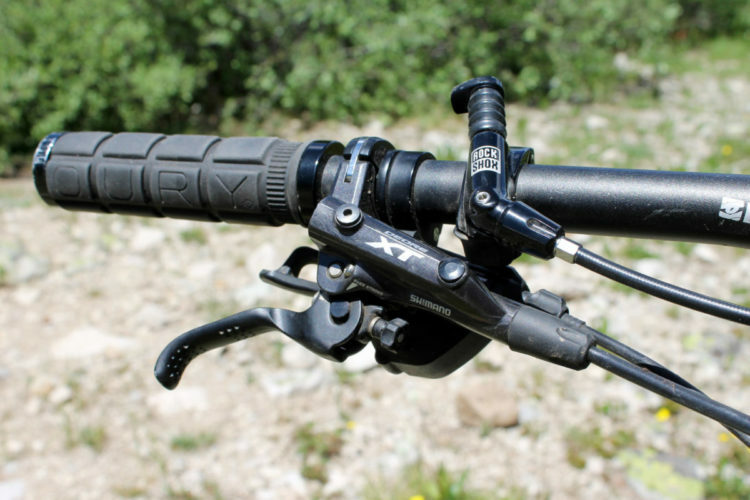 It’s broader than a SRAM lever, but otherwise has similar ergonomics. 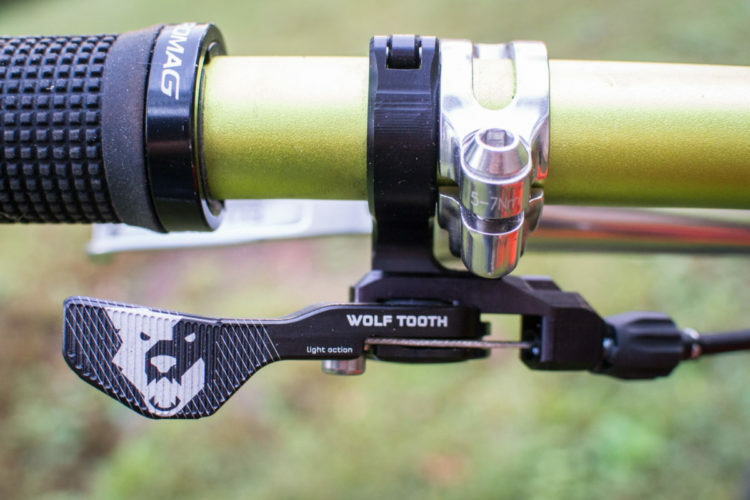 A small dial on the inside of the lever adjusts the reach, but there isn’t a bite point/free stroke adjustment like you’ll find on Guide, Code, XT, or Saint brakes. 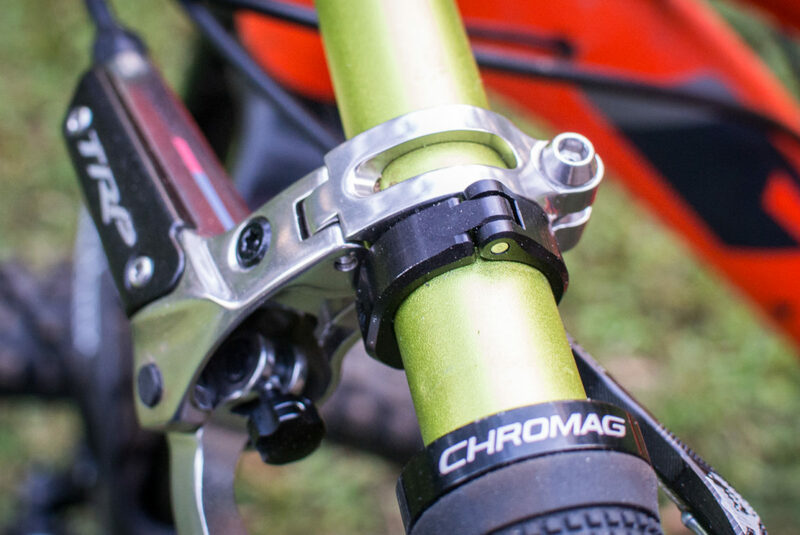 The lever mounts to your bars via a split clamp and pairs with SRAM or Shimano shifters with the appropriate adaptor. Bleeding the brakes is a simple and clean process. The Quadiems use mineral oil, and it’s a one-way bleed from the caliper to the lever. If you’re at all mechanically-inclined, you could knock out a front and rear brake bleed in well under an hour from start to finish. Claimed weight for the front brake (lever, hose, and caliper) is 312g, which is on par with SRAM Code and Shimano Saint brakes. 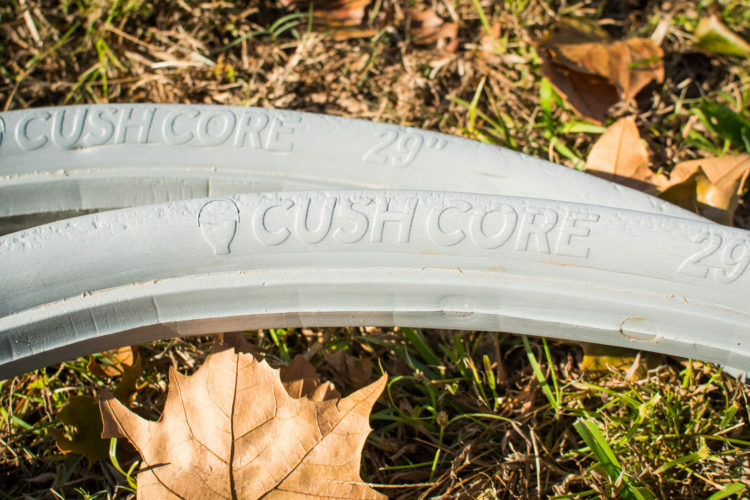 Pricing is $200/wheel, which is again in-line with similar brakes from SRAM and Shimano. There’s also a non-G-Spec version of the Quadiem available for $150/wheel. The technical features are the same, but the lever and caliper are painted instead of being finished with the high-polish used on the G-Spec. 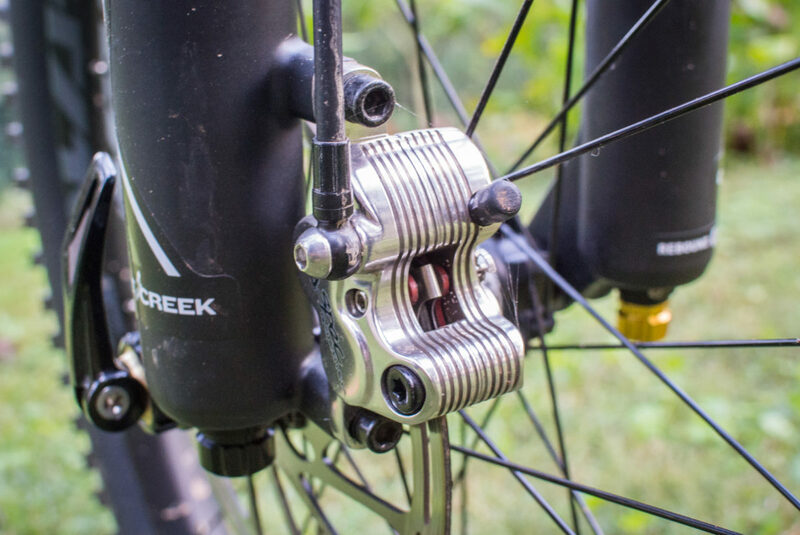 I ran the G-Spec brakes on my Kona Process 153 trail bike — the same bike I used to test the Slate brakes previously. Some riders might not appreciate the husky appearance of the Quadiems, but I think they looked right at home on a burly bike like the Process. With the pads bedded in, the difference in power between the Quadiem and Slate brakes is readily apparent. Power delivery by the two brakes is much the same, with smooth and consistent modulation. There’s none of that grabby feel found on other brakes. The Quadiems have a deep well of power on tap. All you have to do to access it is apply more pressure at the lever. 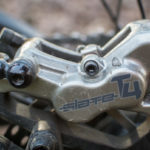 Jabbing hard at the levers will obviously pour on the power more quickly, but even so, the Quads never exhibit that distinct on/off feel of Shimano brakes. 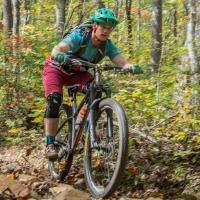 Riding style, terrain, and braking habits will largely dictate whether or not you like a certain brake. 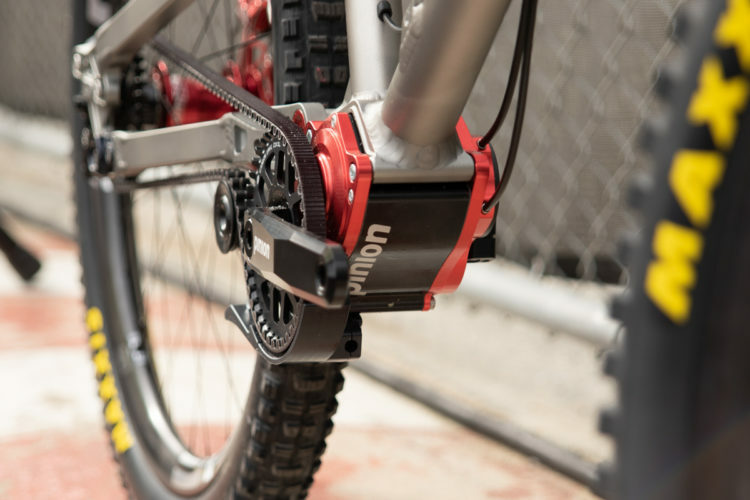 Riders who are prone to last-second braking may not like the way the power builds in these brakes. But riders like myself who prefer maximum modulation and control from their brakes will get along very well with the Quadiems. I spent a large part of the summer exploring remote regions of North Georgia. 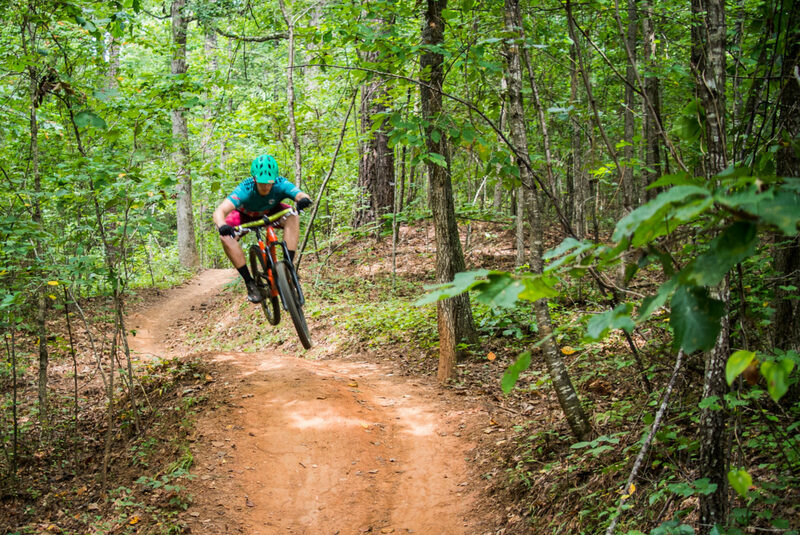 That exploring often paid off with rugged, steep, and rocky descents down little-known or neglected trails. 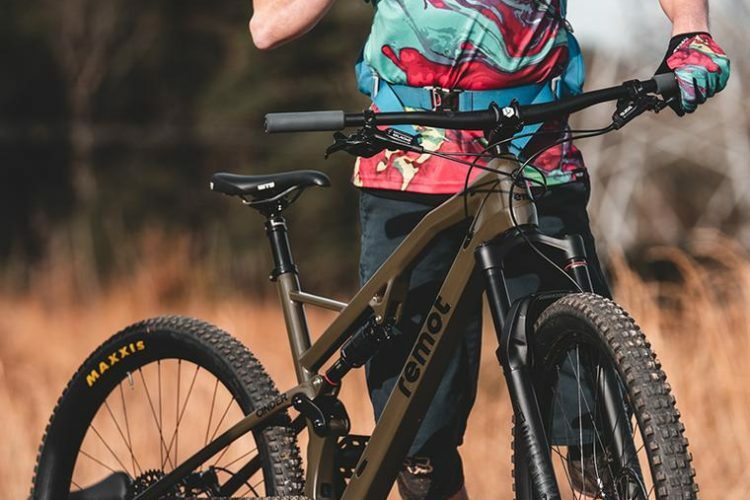 If you’re riding unfamiliar trails in the backcountry, you need to have the utmost confidence in your equipment… especially if you’re as big as me. Kitted out and carrying a big pack filled with gear and water, I’m probably pushing 220lbs. That’s a lot of meat to bring to a halt when it’s hurtling down a mountainside. Thankfully, the Quadiems never faltered, even when panic-stopping for a downed tree in the middle of the trail. 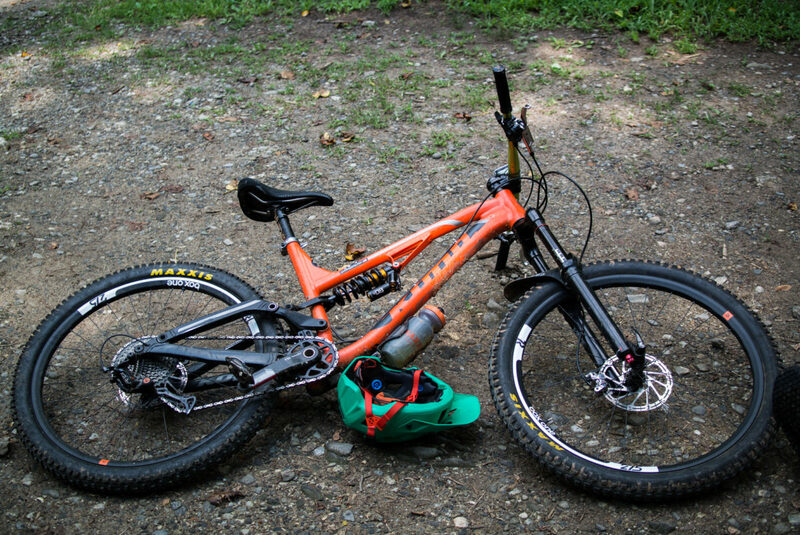 When you’re secure in the knowledge that your brakes will stop you no matter how steep the grade, what the weather is doing, or how much gear you’ve got on your back, the possibilities open up dramatically. Switching to my other bikes, which all have less powerful brakes, is always an adjustment. And honestly, it’s a bit of a disappointment. 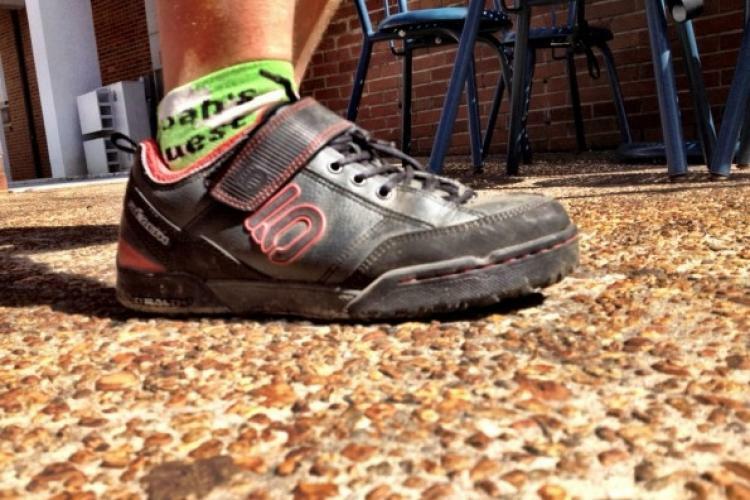 As I got comfortable with the performance of the Quadiem brakes, I began pushing my own limits, both in terms of the speeds I was riding and the lines I was comfortable attempting. It’s not too often that a component can boost your confidence this dramatically. 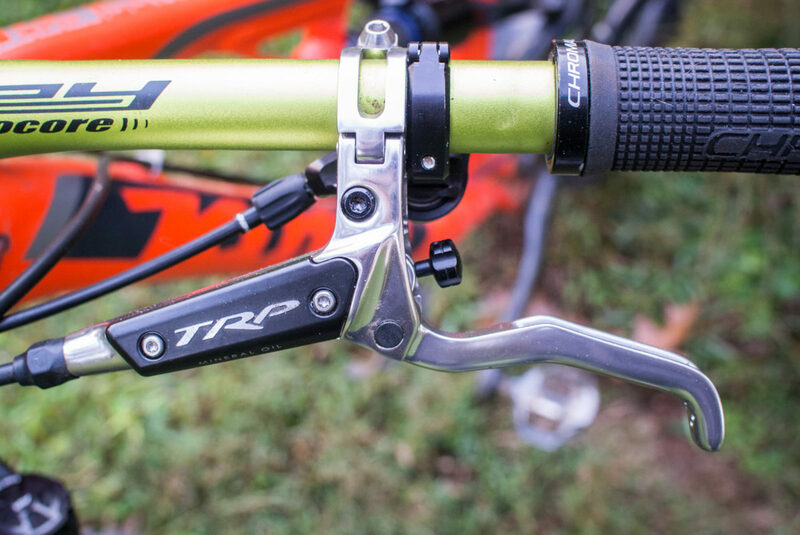 Thanks to TRP for providing the G-Spec Quadiem brakes for review.